A nationwide strike in the plastics industry, which had become violent in some parts of the country, has not affected companies in the Bay, the National Employers’ Association of SA (Neasa) said on Monday. 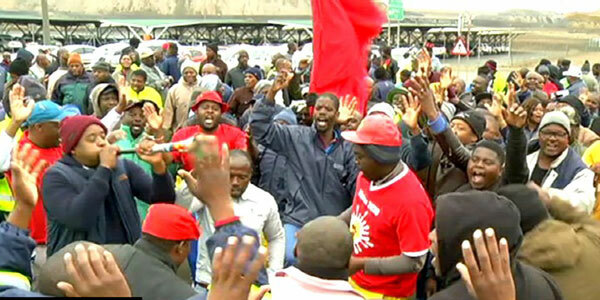 The strike by workers affiliated to the National Union of Metalworkers of SA (Numsa) entered its second week on Monday. Numsa spokesperson Phakamile Hlubi-Majola said the union’s main grievances was a reduction in the minimum wage from R40 to R20 an hour, lack of bonuses, as well as increased working hours without overtime pay. In a statement, the union’s general secretary Irvin Jim warned if the demands were not met, employers would “continue to bleed profits, and the industry will continue to suffer huge losses”. “In the meantime, we will be intensifying the strike,” he said. “All regions will spend the next few days mobilising all workers in the plastics sector. The Plastics Convertors’ Association of SA (PCASA) – representing employers – approached the Labour Court last week in an attempt to block the strike, but its application was dismissed. “The law protects all workers who wish to participate in the strike, and they can never dismiss you for joining the strike,” Jim said. “This court judgment is the first victory in this battle, but we have not yet won the war. “We can only succeed if all workers in the sector, regardless of whether they are Numsa members or not, unite behind us in the demands we are making,” Jim said. PE-based plastic fabrication company Graymaue Plastics general manager Francois van Larer said: “Everyone is at work – workers who are not here, are absent for other reasons. Evron human resources manager Caroline Elf said they’d had “no trouble”, while two more plastic fabrication companies – Principle Plastics and Algoa Plastics – were also not affected by the strike.